This entry is part 8 of 16 in the series Belgium in a Glass. There is a special style of Belgian beer, only available in the warmer months. In today’s instalment of Belgium in a Glass, we explore Belgian Saison Beer. If you’ve been reading the series, you know Belgium has some unique beer styles. However, in the spring and summer, you will see different beer varieties appear at stores and in some restaurants. Often labelled ‘saison’ or ‘farmhouse ale,’ these bitter but refreshing beer are created specifically for the summer. As a style, saison is a fairly recent creation, although the origins are much older. Originally saison was created for seasonal workers on farms, possibly because it was safer to drink than the water. It was brewed in the cooler, winter months and then stored in the cellar for drinking throughout the summer. As you can imagine, this wasn’t a unique situation in Belgium. Many farmers around Europe brewed their own beer for similar reasons. However, the only styles surviving are the Belgian Saison and a French style called, Biere de Gard. If you look hard, you may be able to find an example of the French beer in Belgium as well. Brewing during the cooler months solved two problems for farmers. First, it provided some work for permanent staff who would otherwise be idle. Second, and probably most important, the higher temperatures in summer risked spoiling the beer during the fermentation process. In order to be stored, saison was typically strong, meaning high in alcohol. Today’s style is stronger still, averaging between 5% and 8%. Saison was also heavily hopped, as hops act as a preservative and an antiseptic (although I’m doubtful they cared about the antiseptic part). The large amount of hops gives the beer its slightly bitter, dry taste. However, it is not as acidic as a lambic or gueuze. 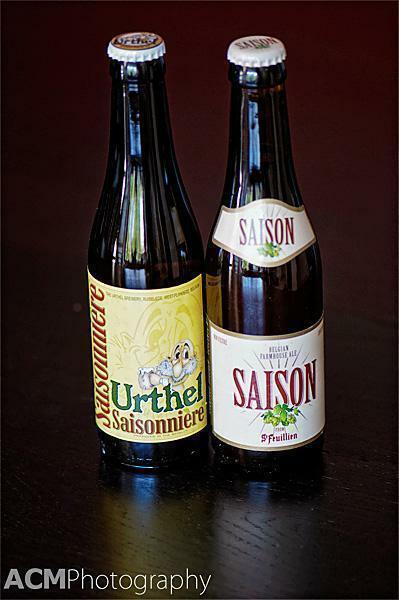 Originally unique to each farmer, today saison is a fairly consistent style. Generally the beers are a light golden colour, are usually highly carbonated, and often use additional spices or flavours, such as orange zest, coriander, and ginger. In a few cases, the brewers have used a darker malt, so the colour of the beer is a bit more amber and slightly sweeter. But, most importantly, they are a great beer to drink on a terrace in the sun. 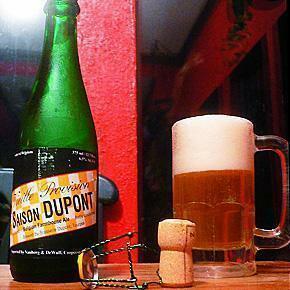 Saison Dupont – Brewed by the Brasserie Dupont, this beer is the reference for the saison style. Dry and hoppy, it is a thirst quencher for a warm day. Dupont also makes a Dry Hopping version, which adds even more aromas. Saison – This is a nice full-bodied beer from Brasserie St-Feuillien. It’s a bit darker, almost amber, but still has that bitterness, which makes it refreshing to drink. Silly Saison – I’ve always loved beer by the Brasserie de Silly, not just because of the name, but because of the flavours. Their saison beer is amber in colour, slightly sweet with fruit aromas and flavours. It is not as bitter as some saisons, but it is more rounded. It is important to remember saison beer is only around for about 6 months of the year. It is a special treat in the summer and many Belgians (and expats alike) look forward to the first saison varieties appearing in the stores. For beer aficionados, I think it is the real first sign of spring. 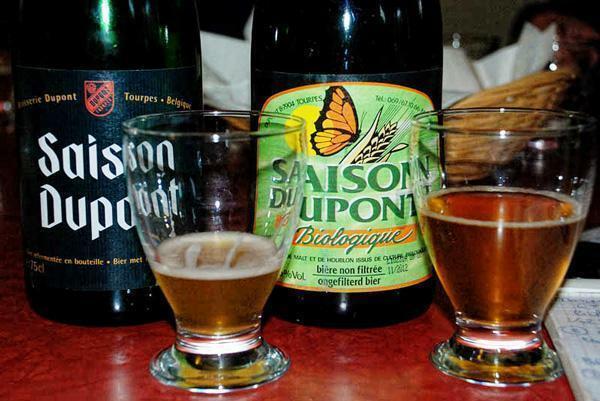 Have you tried any of the saison beer above or do you have an alternate suggestion? Share your experience in the comments below.